A ring sling is a length of woven cloth that loops over the wearer’s shoulder and is adjusted by the overlapping rings worn near the shoulder, with the baby sitting in the pocket created by the fabric. Ring slings work for any caregiver because they can be sized big or small and made plain or fancy, with different colors, patterns, and fabric choices: often cotton but also blends, linen, very lightweight mesh or solar-protective fabrics for water and summer use, and brocade and silk for dressier occasions. Using a ring sling can seem daunting at first, but with a little practice and guidance, you’ll soon find it becomes second nature. I’ll share some pictures here my husband took of my 2-year-old and me showing how it’s done. Front carries work well with any age baby or toddler, and the hip carry is better attempted once a baby has good head and neck support. Enlist another trusted adult. Ask the other adult to keep hands on the baby, or to help you secure the carrier, and be clear about who is doing what. Use a mirror. If you’re out, any reflective surface (building windows, car windows) it will help. Ensure airways are clear and babies don’t slip deeply into the pocket of fabric. If you need help, request it! If you want someone to confirm that your baby’s in safely, ask away. If you feel uncomfortable with certain carries, that’s totally fine. Find what works for you and your little one, and enjoy your own brand of babywearing! Keep the rings on your breastbone, in the corsage position. See how the sling makes a pocket? One side of the sling will be against your body, and one is on the outside. There should be fabric between you and the baby, so that the baby’s sitting in that pocket. Little babies might have their legs tucked in (but don’t have to). Older ones will definitely have legs out. Regardless, the fabric should make a little pocket seat for the bum, with the bum tilted a little lower than the knees, the inner fabric extending to the baby’s kneepits (that’s a word, right?) and the outer fabric extending over the baby’s back. Now tighten the sling at the rings. Take your time and adjust it till itâ€™s secure. What to keep in mind is that there are several sections of fabric, such as the inner portion under your baby’s knees, the middle section over your baby’s bum, and the top rail at the top of your baby’s back. Pull each one in turn until each is snug and the baby is cuddled close against you. Hips are flexed in a natural carrying position against your body. Pull the back of the fabric as high up on your baby’s back or the back of the head as needed for support. The hip carry is the same as the front carry, just skewed toward the hip. Make sure you keep the rings in corsage position. Your baby will be sitting on your hipbone, the same way you would naturally carry a young one on your hip. Nursing in a ring sling in a front or hip carry is simple. Loosen the rings until you can bump your baby down to breast height, latch on, and then re-tighten as needed. Experiment with keeping your nursing bra latched, the extra support can function like a shelf for your breast, potentially letting you nurse hands-free. Loosen the rings while keeping a supportive hand under or behind your baby, pressing against your body. 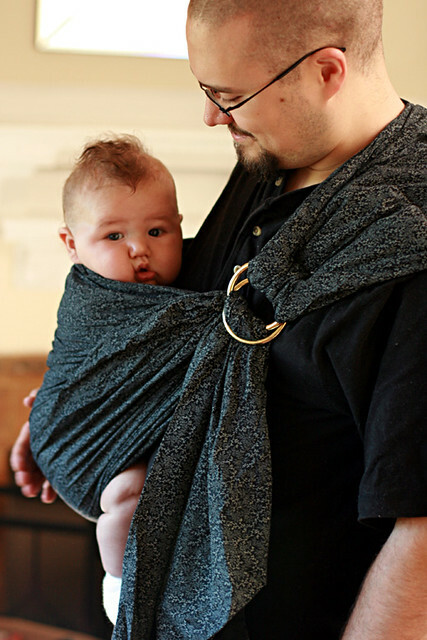 Pull your little one out of the fabric of the sling, and vice versa. This article is excerpted from my new ebook, The Natural Parent’s Guide to Babywearing: Baby carriers and baby carrying made simple. This 154-page, pictorial ebook is a Babywearing 101 class, giving an introductory overview of babywearing, along with troubleshooting ideas for special circumstances. We’ll talk about the benefits of babywearing, types of common carriers, how to babywear safely, picture how-tos for tying the most popular carriers, tutorials for making your own carrier, and a list of helpful resources for information and support on your babywearing journey. I recommend this book to any parent, grandparent, caregiver, or sibling interesting in learning more about babywearing. It’s extremely detailed and is worth five times the price for which she is asking! This book will completely solve any of your babywearing woes. As I’ve read through it, it has already answered all of my questions and more. The Natural Parent’s Guide to Babywearing part of the offering by my affiliate partner Mindful Nurturing: The Essential Parenting Collection, 35 e-resources devoted to transforming your parenting, and the Early Years module, 6 hand-selected resources on parenting young babies and toddlers. Lauren Wayne lives and writes in the Pacific Northwestern USA, with her husband, Sam, and their two sweet boys: six-year-old Mikko and two-year-old Alrik. Sam and Lauren share both working from home and homeschooling. Lauren blogs about babywearing and natural parenting at Hobo Mama and gives a behind-the-scenes look at writing at LaurenWayne.com. She co-hosts the monthly Carnival of Natural Parenting and is a cofounder of Natural Parents Network, a site that brings together attachment parents interested in a natural lifestyle. Connect with Lauren on Facebook, Twitter, Google+, and Pinterest. Read more and ask your babywearing questions at Lauren’s babywearing resource page. Fantastic post. The photos were great… It was nice to see VISUALLY set by step how to do it, and I liked that the time was taken to go into different applications. She is very good and very approachable. She really did a great job! Thanks so much for the great blog (I really enjoyed your post) and for stopping by and linking up with us this week! A ring sling is very easy to use – in my opinion. This tutorial is spot in. It’s great for the newborn stage. One thing you might want to do is find a babywearers international (BWI) meeting where you live. 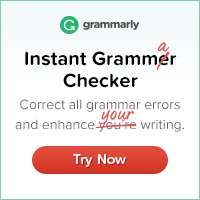 It really helped me to gain confidence. 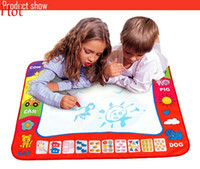 Wish I’d known about these when my two were little! They really do help. 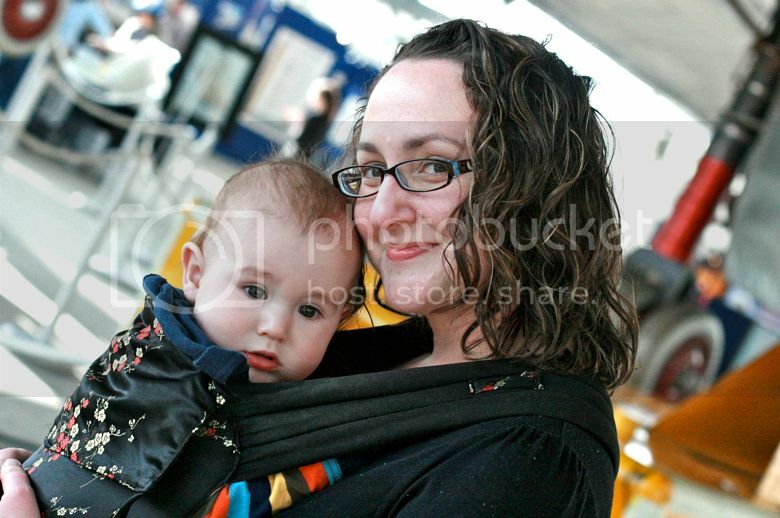 Ring Slings are fabulous and easy! That’s how i carried my little ones.